Welcome to this week’s episode of our new podcast: Tales From the Pictures We Saved. 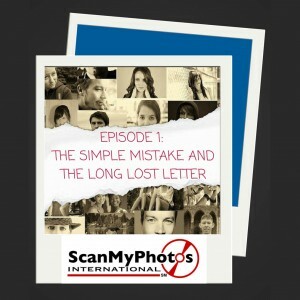 In this week’s episode one ScanMyPhotos customer assists a family on the creation of a very special gift. This episode features music by Bensound.com. Brett Stepanik was voiced by Mark Lucas. This entry was posted in Podcast and tagged customer feedback, customer review, customer stories, customer story, customers love scanmyphotos, podcast by Monika Jansen. Bookmark the permalink.